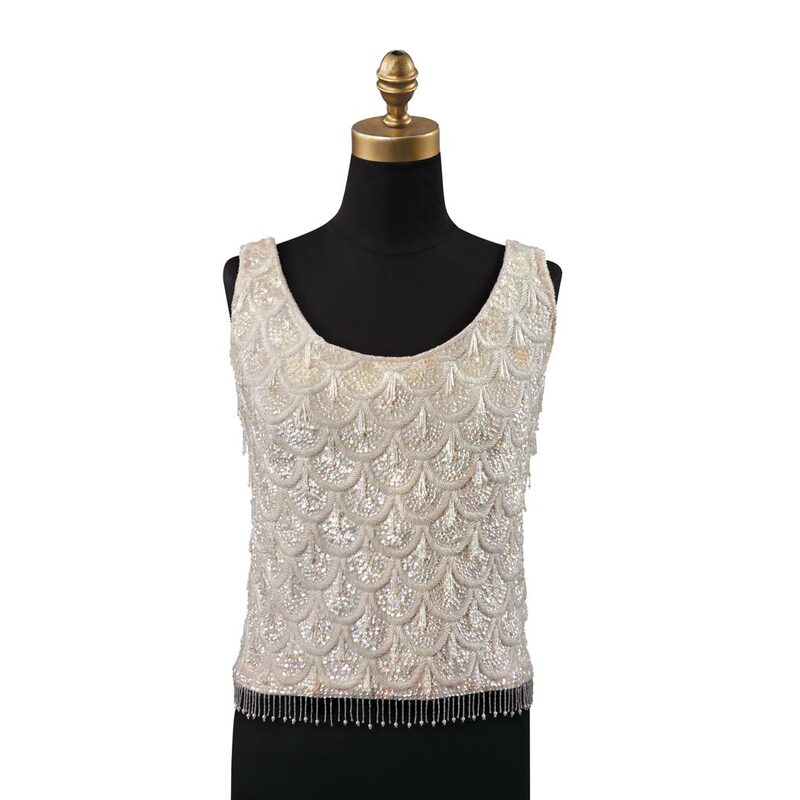 Circa the 1960's - Scallops and fringes in iridescent sequins and beads, labeled Jeri-Jo New York Hand Beaded in British Hong Kong 100% wool, size 38. 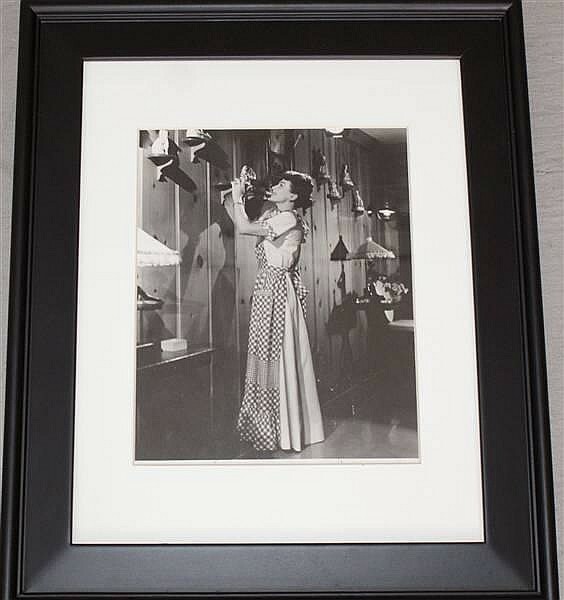 Length from shoulders 21 inches, width 39 inches. 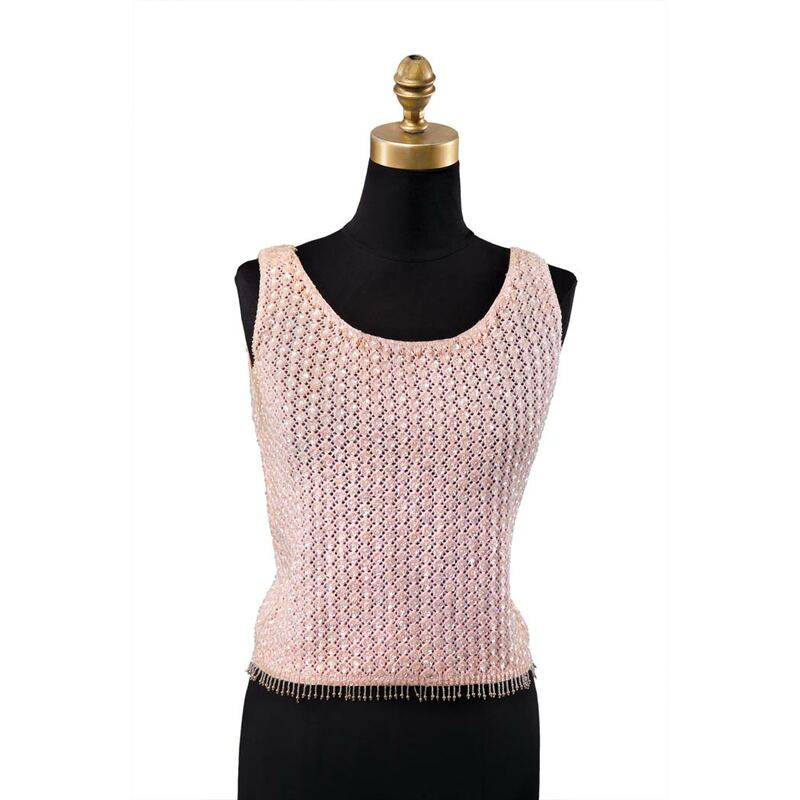 Circa the 1960's - Hand knit and embroidered in iridescent clear sequins, edged in pearlescent bead fringe, labeled Tai-Ling Hand Made in British Crown Colony of Hong Kong, size L. Length from shoulder 20 1/2 inches, width 38 inches. 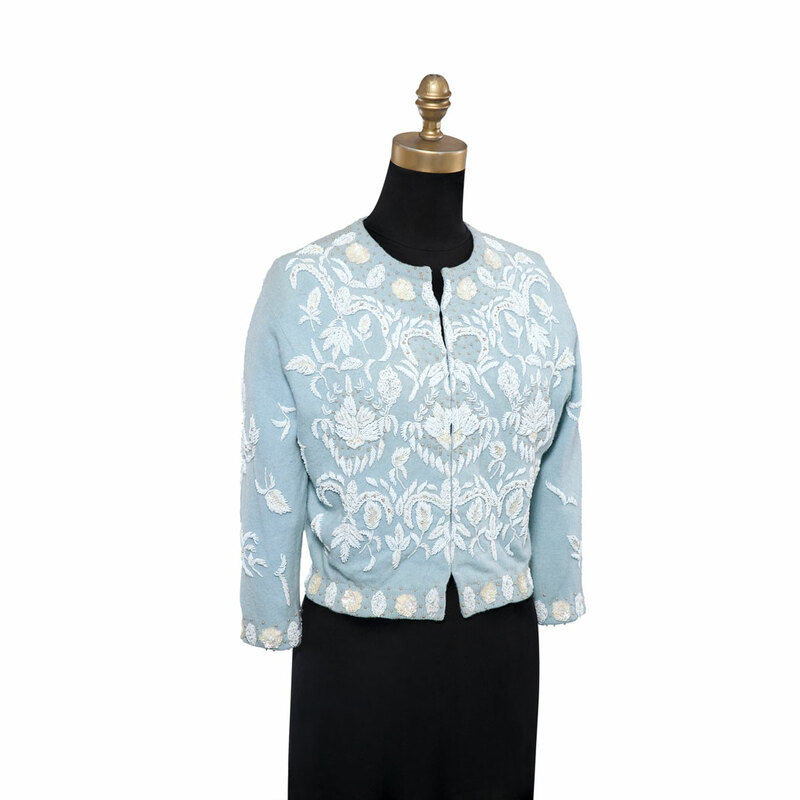 Circa the 1960's - Embroidered with scrolling flowers and foliage in white bugle and round beads and pearlescent sequins, with white lining, labeled Knitted in Japan 70% Lambswool 20% Rabbit Angora 10% Nylon Hand Decorated in Hong Kong, size 40. 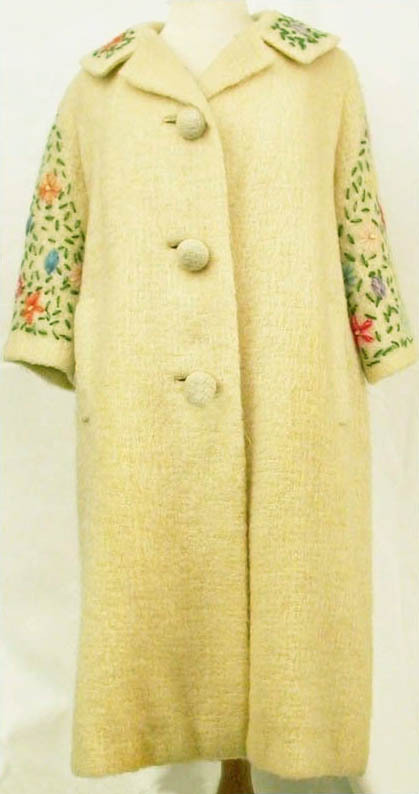 Length of center back 19 1/2 inches, length of sleeve 18 inches. 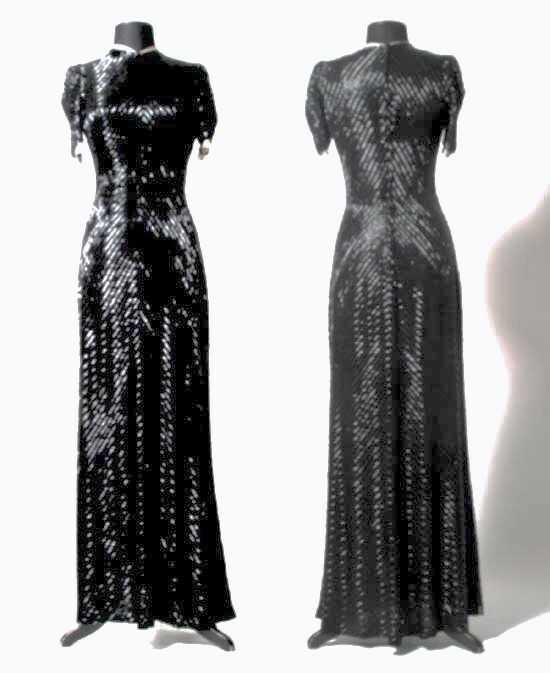 A full length black formal gown, worn by Joan during a publicity tour for RKO Studios (for the film "Sudden Fear").